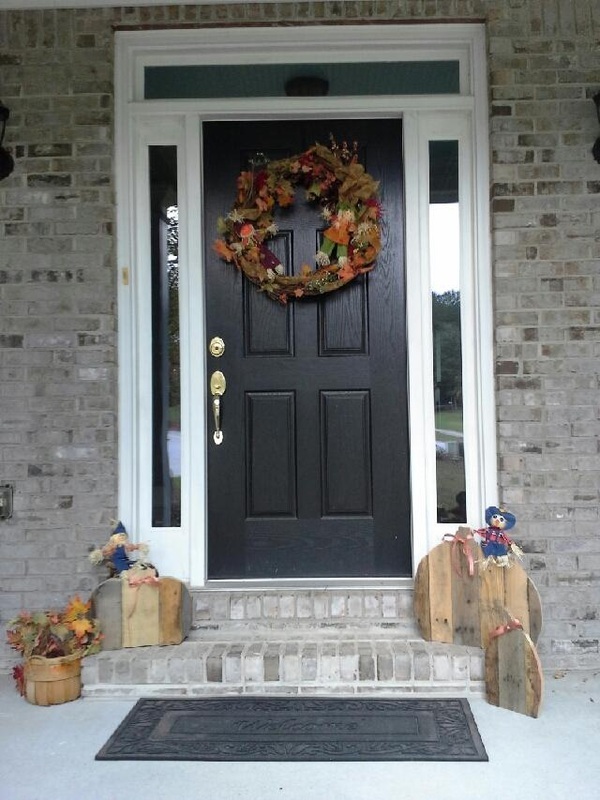 Our pallet pumpkin patch in action on this fall-ready front porch! 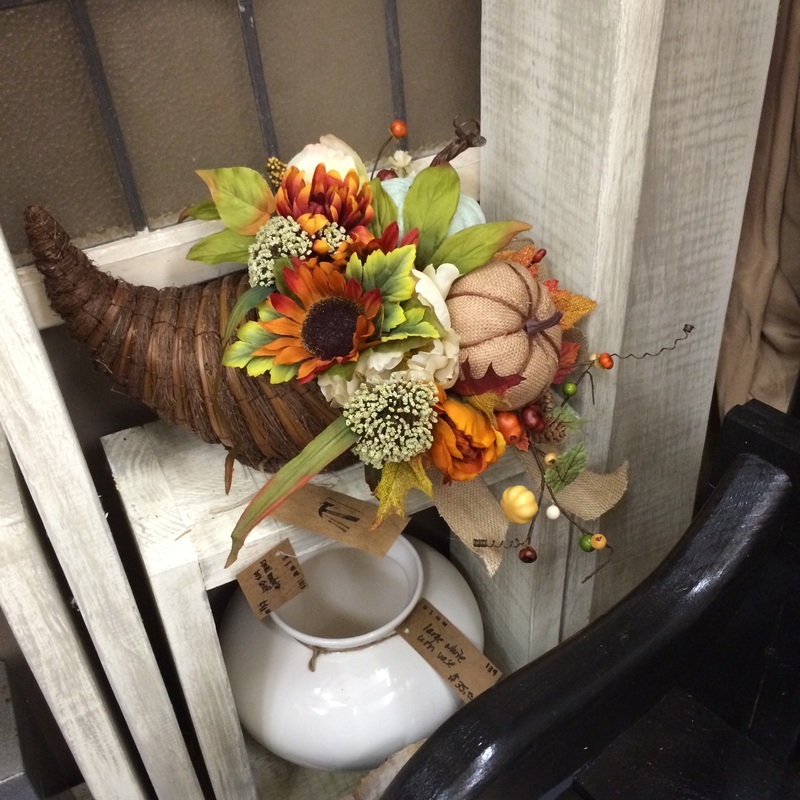 We can make small arrangements with the latest fall color combinations. 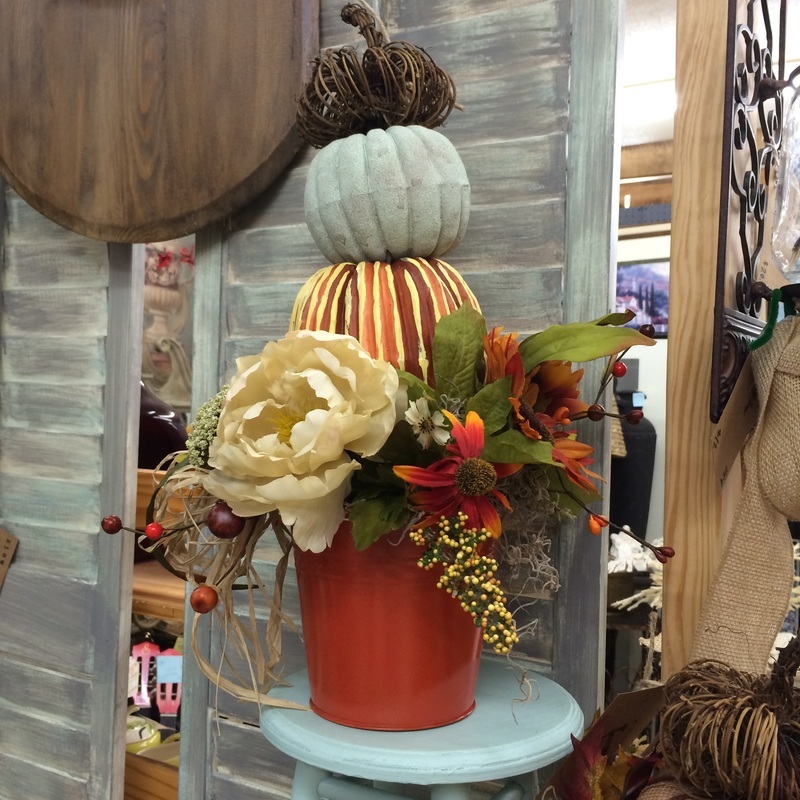 We love filling items with floral items for every season. 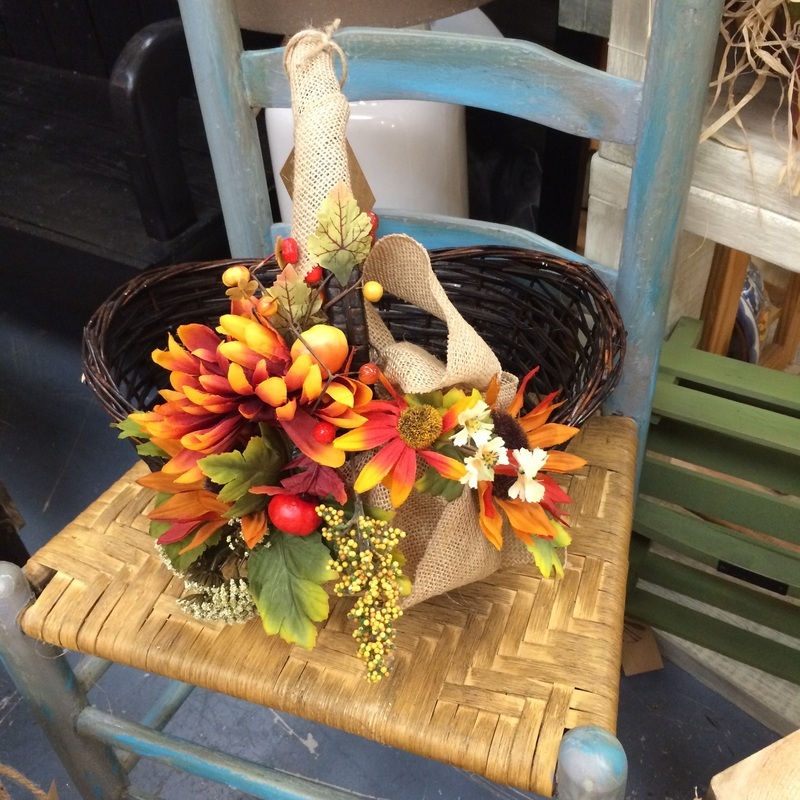 We can enhance baskets and other items you already own. We can make large arrangements too. 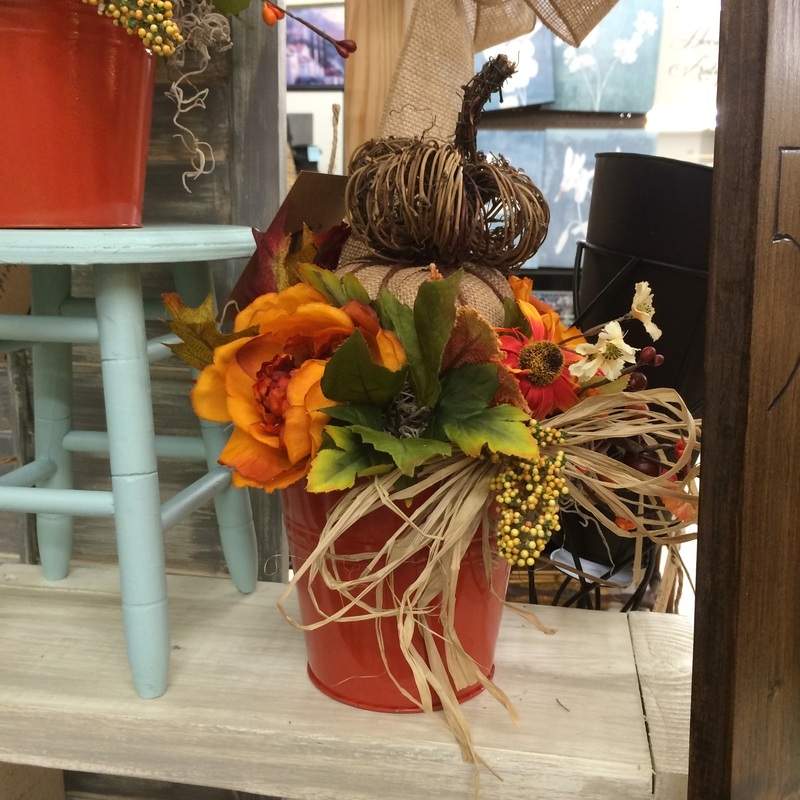 Check out our custom made-to-order fall, Halloween, and Thanksgiving offerings. Let us know if you're interested in anything pictured! 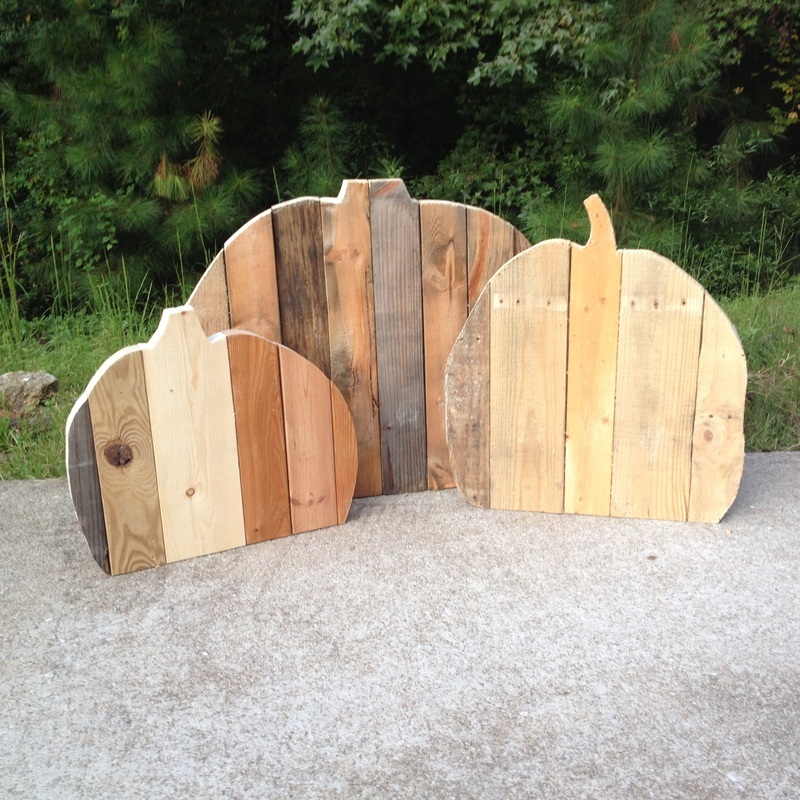 We have pallet pumpkins in 5 sizes, and we can go bigger or smaller as desired! 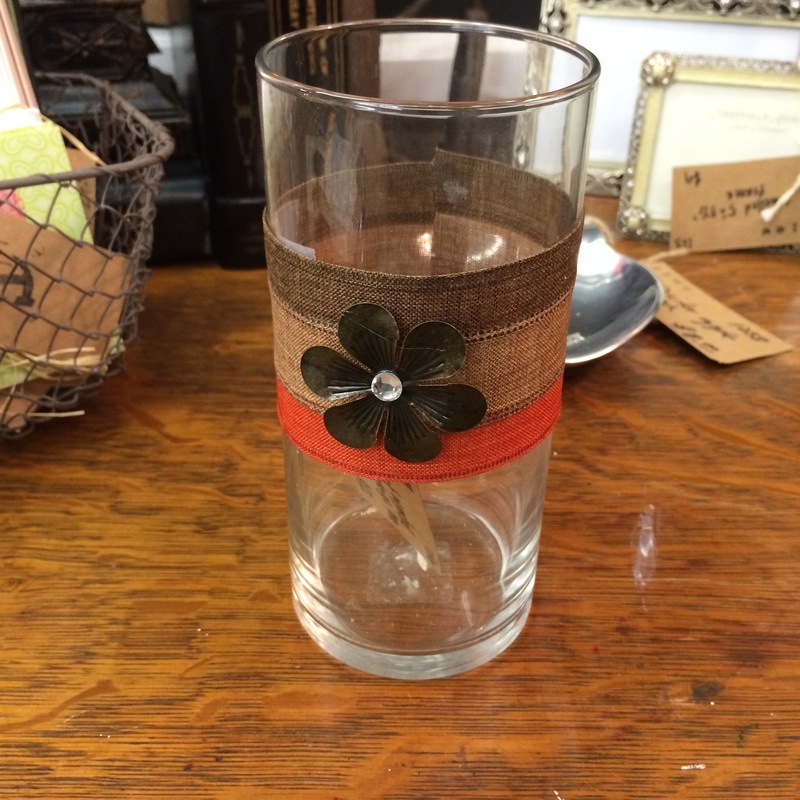 Dressing up a plain glass container for the season is one of our specialties. 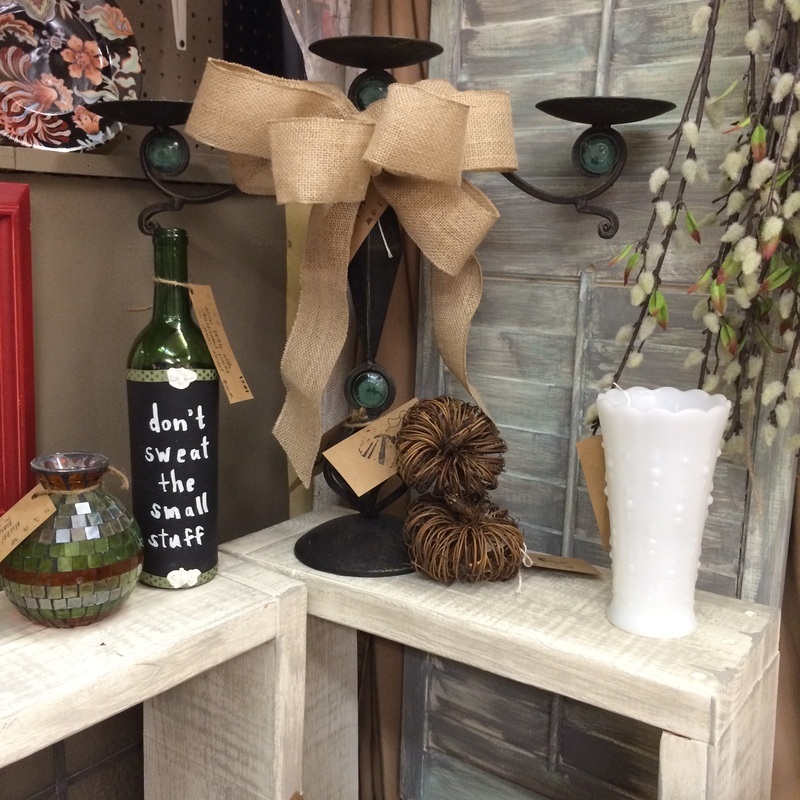 We make bows and we carry items that let you create your own arrangements.